**ALL BADGE JEWELRY IS ON CLEARANCE! QUANTITIES ARE LIMITED! 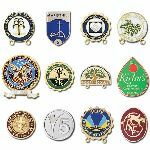 ** Show your staff that you care with a fun piece of badge jewelry that relates to their job! 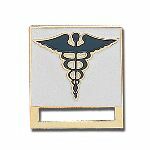 Reward distinguished service with a custom designed award pin. Custom Embroidered Patches are another great way to recognize outstanding service or attainment of specific goals.